Whether you own a Toyota that’s in need of windscreen replacement or a Ford that requires windshield repair, you can rely on National Windscreens to provide fast and affordable solutions. We can assist with an impressive range of mobile car window services in Mildura, including windscreen repair and replacement, sunroof repair, car window tinting and more. We proudly service the entire Mildura region as well as surrounding areas such as Cabarita, Koorlong, Birdwoodton, Mourquong, Buronga, Nicols Point, Gol Gol, Merbein, Cardross and Irymple. As one of the largest providers of windshield repair and emergency windscreen replacement in Mildura, National Windscreens is proud to hold an accredited membership with the Auto Glass Association and the National Windscreen Group. This makes us a recommended choice for windscreen chip repair and windscreen crack repair. We’re also continually expanding our local knowledge and experience to ensure our customers’ needs are met, delivering personalised customer service that meets your needs as well as competitive pricing. You can rely on us to get the glass of your vehicle safe and roadworthy without breaking your budget. 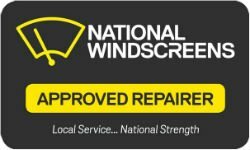 Call on National Windscreens next time you need professional windscreen repair and windscreen replacement in Mildura and surrounds. Contact us by calling 1300 36 36 32, or book online.